When is a door not a door? When it is….ajar! When is a door not a door? When it is….ajar! I have not seen or figured out yet how to turn a door into a jar, but I have seen a lot of great ideas on how to use a door that still has a lot of character and function left in it. 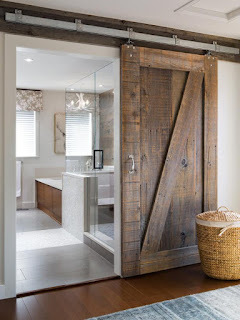 For example, how about using a door as a hanging panel to conceal a laundry area that is otherwise open to view. A door such as this rustic Grist Mill door could be used as a hanging panel on a patio area to conceal a small potting/garden supply area or perhaps to conceal your grill and accessories until needed. How about a paneled door to turn sideways and use as a headboard? 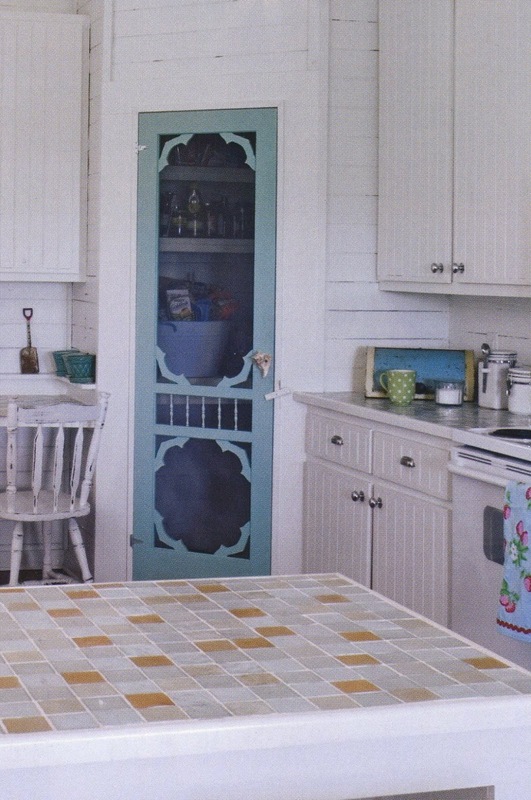 Take advantage of that patina to use for a country cottage look; shabby chic; or coastal style. Use a door to create a one of a kind Coffee Table or Breakfast Table with two pair of rustic legs...hubba hubba! 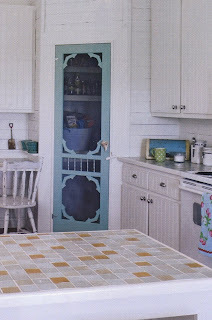 Just today, I saw a vintage screen door gussied up with a bit of paint and used for a pantry door instead of a boring white laminate door. 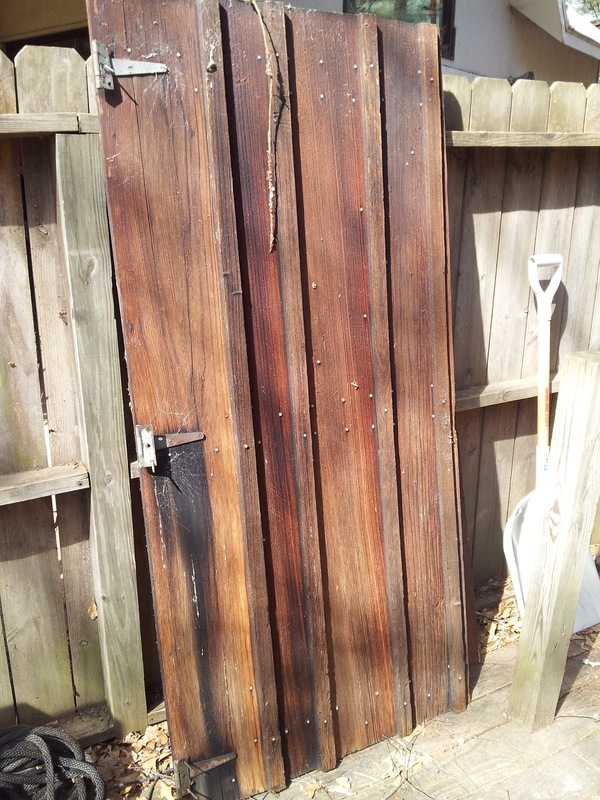 Another great project is to use a front door with a few extra pieces and vintage hardware to create a hall tree for an entry or even a mud room. Outfit 3 or 4 doors with hinges and make a folding screen. Paint with sea breeze colors and decoupage some photos of sea shells to create a privacy screen or even a piece of art. What are you waiting for! The doors are waiting for you and your imagination!